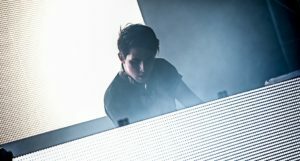 A leaked promotional message from Porter Robinson has revealed what the producer really thinks about the current state of electronic music. The message, which you can read in full below, sees Robinson criticise fellow producers for chasing hits and using “inoffensive” pop hooks to get said hits. He also explains why the he chose to explore a more exciting electronic timbre with his new alias Virtual Self. “As electronic music essentially converged with pop in 2016 (for the second time in the last 10 years, the other time being 2011), I think it’s pushed a lot of artists away from risk-taking and passion projects,” the promotional message reads. It’s clear that the current trend of combining pop tropes and electronic music isn’t something that the breakout producer is interested in doing at all. Robinson recently performed an unplanned Virtual Self performance during this month’s Holy Ship, which went down really well according to those in attendance. You can read the producer’s unedited promotional message in full below. I really, really, truly, love electronic music, and I want it to be as good as it can be. I hope that by doing something unexpected, I can shake things up and hopefully inspire other artists to do something weird. Anyway, please listen and enjoy! Thanks for taking the time to hear about all this.